With a capacity to facilitate 1,250 users in one gathering, Microsoft Office Live Meeting 2007 is undoubtedly one of the best webinar software applications available. Companies have the option to subscribe to this software or to host it internally. 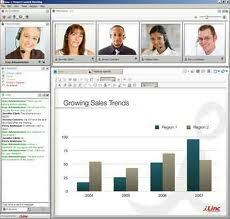 You could use it to conduct webinars and collaborate ideas with colleagues over long distances. With its integrated live and recorded video, audio and media as well as chat and file sharing capabilities, it will be easier to engage attendees in your discussion. iLink is an application that can host up to 1,000 online attendees in a single event. Events can be hosted via VoIP or audio bridge. Using its simple interface, you can invite guests to your event, send and manage registration forms, monitor participant engagement, and send surveys and polls after the event. Additionally, it is also linked to social media sites which makes it easier for you to promote your event in Twitter, Facebook and others. Although it has a limited capacity of only 350 participants, Video Seminar Live is still one of the greatest tools for conducting webinars. It is totally Web-based so it will not require you nor the participants to download additional software. However, this application is more effective in hosting interactive Web conferences with up to six participants, using voice-over IP. Some of its features that are crucial for webinars are PowerPoint presentation sharing, screen sharing, whiteboard, audience polling, and interactive chat. What makes InstantPresenter popular is not only its capability to host 1,000 guests in an online event, but also its capability to transform a video from standard webcam into a crystal clear picture for smoother video streaming. It also offers e-Commerce webinar service for charging registration fees to your attendees. During webinars, you can also easily promote your brand or company by using a custom background. After the seminar, you can assess your success by sending survey tools using its Webinar Survey Testing tools. 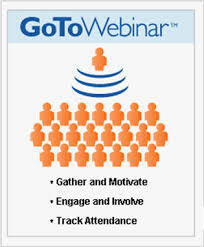 Conducting an online event participated by up to 1,000 participants will be more organized and simplified using GoToWebinar. This application can help you from pre to post seminar needs. You can use it to invite people and host a registration page and then allow participants to self-register on your page. 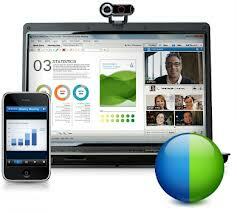 Once the webinar has started, it allows full desktop sharing, audio conferencing and recording. There is also a dashboard where you can see if there are any participants wishing to ask questions or share their inputs. After the event, it will automatically generate reports, post-session surveys and follow-up emails to participants. 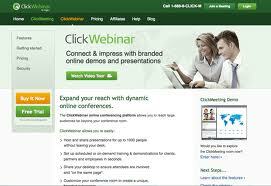 You can now conduct seminars around the world without leaving your desk using ClickWebinar. 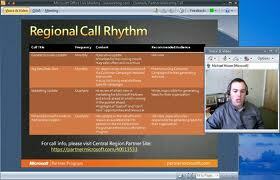 This webinar software application can accommodate up to 1,000 participants in an event. 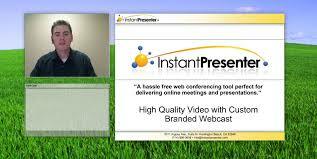 It is a useful tool for webcasting, sales presentation, online training and desktop sharing. It also does simultaneous chat translations with 52 languages to choose from. 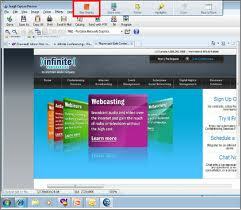 Infinite Conference is also a powerful software application for conducting webinar. It can facilitate up to 1,000 attendees in one event, with all 999 users sharing in your desktop as you present and talk in real time. You can also record your presentations for future use. Although it does not have video options, it has many other features that focus on usability, making it one application that is very easy for a webinar participant to use. With a capacity to gather up to 3,000 webinar participants, Cisco WebEx allows for the most number of participants in one event. It can help you in scheduling meetings, sending invitations and registering participants. During webinars, it allows you to share your desktop, share an application you are using, or present a document. Additionally, it has options for whiteboards, polling and recording of sessions. Adobe Connect is known to be effective in engaging seminar attendees to be attentive and participative. It has a wide variety of options for audio and visual materials that you could use for engaging attendees. It also has an option for mentoring and setting up a coursework aside from its standard features for product demonstrations. 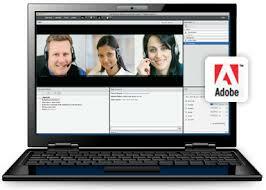 It supports almost all audio and teleconferencing format providers. Even though it only allows for 250 webinar participants at one time, MegaMeeting still tops this list because of its usability and functionality. It is easy to use even if it has numerous powerful features for hosting meetings and webinars, building relationship with colleagues, conducting eLearning and staff training, and product or services demonstration. 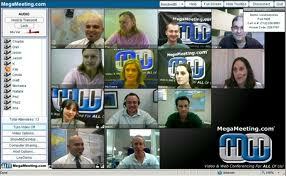 One of its best features is its comprehensive tools for video conferencing and file sharing. Using any of the webinar software applications we have listed here, it is now possible to conduct seminars, training, meetings and conferences online. Depending on your expected participants and the features you are looking for, you can choose from any of the software we have reviewed. And don’t hesitate to share with us your feedback.